Patty Koskovich first founded her company in 1990 as Interior Selections after receiving a degree to practice the “art of interior design.” While researching courses for her graduating daughter to take at a local college she became interested in their Interior Design Program and took the courses herself launching her second career. It came naturally, even as a young girl she was rearranging furniture, organizing, painting cabinets and restyling furniture pieces. Now Patty shares her talent with you by asking questions and listening to your “wish list” of needs and wants to help you bring your vision to life. Koskovich Design Group was the new name chosen to represent her many affiliate resources. Patty has a background of working in both retail stores and in new home construction, as well as staging models. A seasoned designer Patty offers a range of services. As a Full Service Firm she can offer consultation from a single room to a major renovation. Services range from choosing a color scheme, fabricating custom window treatments, room by room designs with furniture layouts, remodeling , material choices for a new home, assisting you with purchasing and placing art and accessories. She believes the benefit of hiring an independent designer offers you more choices than shopping at a single store as she is not commissioned to sell a certain product. As an RN, registered nurse, Patty worked for several years in a hospital caring for people. She added her Certified Aging in Place, CAPS designation as a way to help our growing aging population to be able to stay in place and age at home. By using universal design principles a home environment should be safe, comfortable and usable by all. Adaptations can be made as needed for special needs. She is a good resource for downsizing, remodeling or building a new home. Patty is easy to work with and friendly in her approach. She believes your home can be gracious and warm, welcoming to you, your family and guests. She listens to you during the interview phase and guides you gently toward your unique solution. Her expertise and discerning eye will bring about a better outcome for your investment. Each project is client driven in style and the solution is tailored to the clients dreams, lifestyle and budget. Koskovich Design Group, or KDG has been published nationally in Romantic Homes and locally in Seattle Homes and Lifestyles. 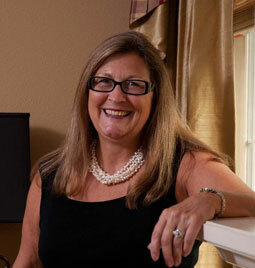 Patty has served on the board of NWSID, Northwest Society of Interior Designers and member since 1990, is a member of NKBA, National Kitchen and Bath Association, is a past member of the local MBA, Master Builders/Remodelers Association and is a member of NWUDC, Northwest Universal Design Council. She has participated in charities for low income women and children. Contact Patty to talk about transforming your house into your dreams for a gracious, welcoming home. I design comfortable rooms that work for you, layer by layer add inviting furnishings, and harmonious details to provide gracious style and handsome homes.